The Gordon Career Center’s Careers by Design program is a series of lectures and exercises designed to help students identify what factors may be influencing their choice of major, internship, or career path. The Gordon Career Center is helping students design their futures. Through a new intensive seminar called Careers by Design, Wesleyan students can explore the many influences on their career decision making and make choices that are right for them. The Gordon Career Center’s innovative approach to career education encourages students to design their own careers by exploring the intersection between their interests, the skills they have and wish to acquire, and market demand. “Careers by Design is a framework that applies the principles of design thinking to solve every college student’s ultimate questions: ‘Who do I want to be? What do I want to become?’” said Sharon Belden Castonguay, director of the Gordon career Center. 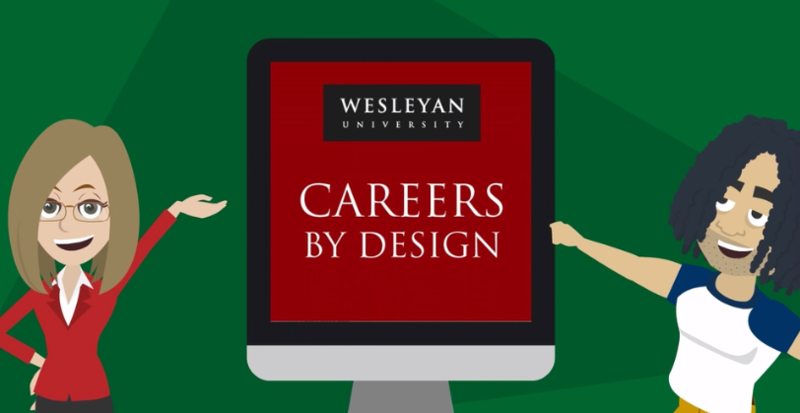 Careers by Design, which is offered in January as part of Wesleyan’s Winter on Wyllys career programming, also is taught through an online course and can be taken at any time. Students learn how to apply design thinking to the search for meaningful work, write an “elevator pitch” to describe themselves, analyze the past and visualize the future, understand and define workplace success, and explore ways to launch their career. The online course, which runs for about an hour and 15 minutes, includes multiple exercises and recommended resources. 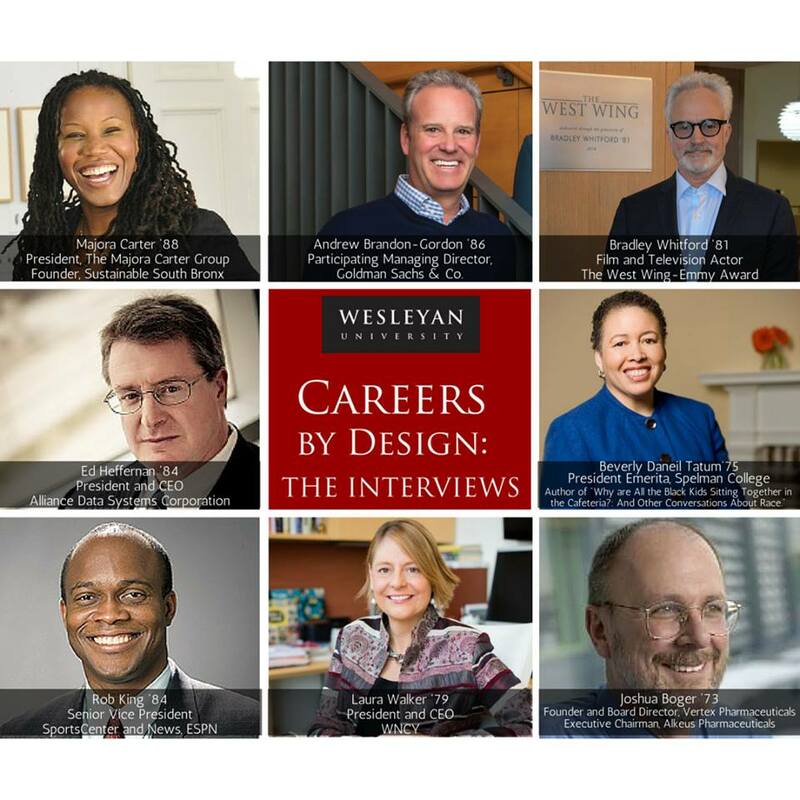 In addition, Careers by Design boasts a series of interviews by well-known Wesleyan alumni and guests including Joshua Boger ‘73, founder of Vertex Pharmaceuticals; Andy Brandon-Gordon ‘86, managing director of Goldman Sachs; Majora Carter ’88, founder of Sustainable South Bronx; Laura Walker ‘79, CEO of WNYC; Bradley Whitford ‘81, actor (The West Wing, The Cabin in the Woods, Transparent); and more. New episodes of the podcast will be released every other Friday. A conversation with athlete Kathy Keeler ’78 is slated for Aug. 5, just in time for the start of the Olympics. These interviews are offered as podcasts and can be accessed through iTunes and Sound Cloud.